Do you check your car every time you go out driving? The tires, brakes, oil..? Probably not. It’s a different story for aircraft. Before a plane takes off, airlines have a team of engineers (and in the case of private jets, the cockpit crew) to conduct preflight checks. Maintenance and repair work is also mandatory after a certain number of flight hours, landings or at set intervals. This is one of the many reasons why planes are among the safest modes of transport. Whether it’s a business jet or major airline, all commercial aircraft must comply with the same regulations, e.g. for maintenance, training, health requirements and assessment of pilots. So if you want to book a charter flight, you need to make sure the provider is allowed to operate commercial flights. You’ll be able to tell this by checking if it has a so-called Air Operator Certificate (AOC). If a company without an AOC offers you a flight – which definitely happens on the grey market -, you need to give them a wide berth. Because apart from the aforementioned obligations, these illegal flights might be lacking the proper insurance and other important requirements. But even with companies which do hold an AOC, feel free to ask how the provider fulfils the high standards, and what other measures it takes for security. Get it to explain when the crew last undertook security training, and how pilots train for difficult situations in flight simulators. A good provider will be glad to presentto you all this information. You can, of course, only ask in person when dealing with private jet providers, not airlines. And charters also have other security advantages. For example, you’ll know all your passengers onboard personally, instead of travelling with more than a hundred strangers,possibly also including the odd drunk who decides to run riot or worse. And you’ll have your privacy during more than just the flight. Even at the airport, you’ll be able to avoid going through the public terminals. And no one will know where you’re traveling to. For passengers with a certain degree of fame, this is a huge advantage, and, in cases of doubt, also relevant to security. In addition to this, private jets allow you to fly to more airports than commercial airlines, meaning you can get closer to your destination and spare yourself potential risks associated with onward transportation, e.g. in helicopters. The direct contact with the provider also enables you to discuss special needs and tailor everything to your requirements beforehand. This may relate to medical restrictions, or even people suffering from a fear of flying. The latter can, for example, ask the pilot to explain how the cockpit works and how the crew handles turbulence – which often calms them down. A flight attendant can also look after and support the fearful passenger throughout the entire flight. Another unique case involves travelers who have their own – possibly armed – security staff. They, too, can and should speak with the provider beforehand. Another point which concerns many people is extreme weather conditions. It is important to note here that rain and heat have very little impact on charter flights. Things only get problematic when runways ice over or fog significantly restricts visibility. In these cases, a flight may have to be cancelled for safety reasons. But for a business jet, this tends more to just end up being a delay: Once the ice has been removed or the fog has lifted, the private jet is ready to take off, and you don’t have to wait forever for a substitute service like you would have to in the case of a cancelled commercial flight. Traveling by private jet is much more flexible: departure times can be changed at short notice to avoid imminent bad weather. Even in flight the pilots can fly to alternative airports if the weather at the actual destination deteriorates. In such case the crew and the operator will take care that you get to your final destination as fast as possible, contrary to an airline. The aircraft will wait for you at the alternate airport or, if the weather clears, ferries to the initially planned airport to lessen your time loss. Got questions about security? Or about private jet hire in general? 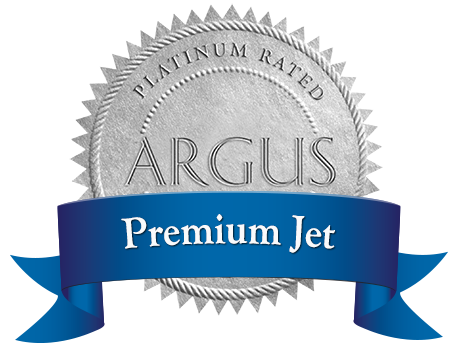 The experts at Premium Jet shall be glad to further assist you.